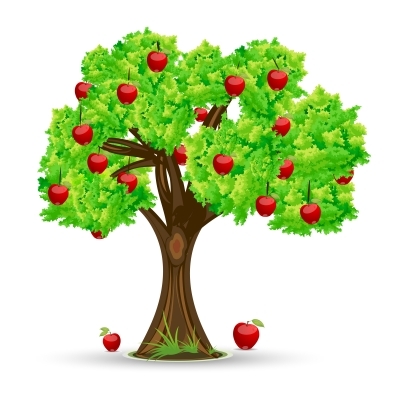 Family ADD and ADHD: Does the Apple Fall Far From the Tree? In my work with ADD and ADHD, it is fairly common to see parents share the same traits as his or her child. However, many parents have spent so much time trying to help a child be more successful that they have a tendency to ignore these concerns. It is not uncommon for me to have a parent mention time management as a concern of his or her child, but then regularly show up late to a meeting. Or suggest that his or her child always loses things but has difficulty locating important documents and information. Now, I am not suggesting that every parent of a child with ADD/ADHD has the disorder, but there are times when a child is an exact clone of his or her parent. Asking a child to work on skills without recognizing or addressing the same deficiencies in one’s self is a huge concern. Us folks with ADD/ADHD aren’t always self-aware of our own deficiencies, but we’re pretty slick on picking up on other people’s concerns. In one case, I worked with a family that was always late to appointments. The mother would always make excuses until one session, the son complained that his mother was constantly late to almost everything as well as always losing important things. He resisted help because as he put it; I am not the one with the problem. While I avoid labeling clients, I am very aware of how ADD/ADHD manifests itself. With a child having a diagnosis, the mother shared the same traits outlined throughout her son’s evaluation. But instead of learning more about her own needs, she refused to admit there was an issue. In essence, she because guilty of what I like to call, creating conflict to avoid conflict. It was everyone else’s fault and she had difficultly taking ownership. It impacted the family dynamic as well as made things nearly impossible to address with her son. When I work with clients and his or her family, I always try to educate families on ADD/ADHD as well as open myself to questions. There’s so much information available on ADD/ADHD, that it is important to undersand the disorder as well as treat it. As a parent, the best advice I can share is to be open to learning more about ADD/ADHD and open yourself up to the idea that you may share similar traits with your child. If you find this to be the case, I’d strongly recommend you go through the evaluation process and address personal concerns. For more information on my ADD, ADHD and Executive Functioning coaching, please visit http://adhdefcoach.com. In addition to working with clients in-person, I also work with clients remotely so please visit www.onlineadhdcoach.com for more information. To learn more information about some of the other services I provide, please visit http://www.carrolleducationalgroup.com and http://www.iepexperts.com. I can be found on Twitter at ADHDEFCoach. You can also find me on Facebook, Google Plus and Tumblr. My good friend and fellow ADD/ADHD Coach Tara McGillicuddy invites me as a regular guest on ADD/ADHD Support Talk Radio. Feel free to email me at jonathan@adhdefcoach.com or call 773.888.ADHD (2343) with any additional questions.